We are a renowned Microcentrifuge Tubes Manufacturer and supplier, located in India. 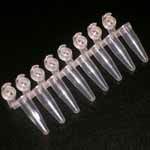 Our PCR tubes and centrifugation tubes are globally known for the high quality. Moreover, we also provide Microcentrifuge tubes which are completely widely admired by our honoured clients. © Copyright 2009 - 2010. Sejal.